Cleaning ProcedureRemove any old thread sealant, gasket material or sealantusingEN 28410remover.Clean all the following areas with solvent:Sealing surfacesCooling passagesOil passagesBearing journalsClean all threaded and through holes with solvent. 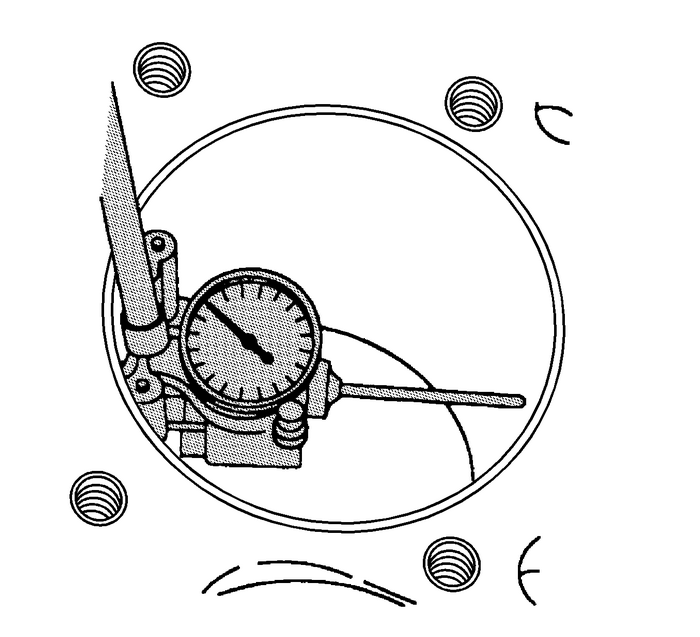 Measure the cylinder bore diameter 37-mm(1.457-in) from the deck face using theEN 8087gauge. 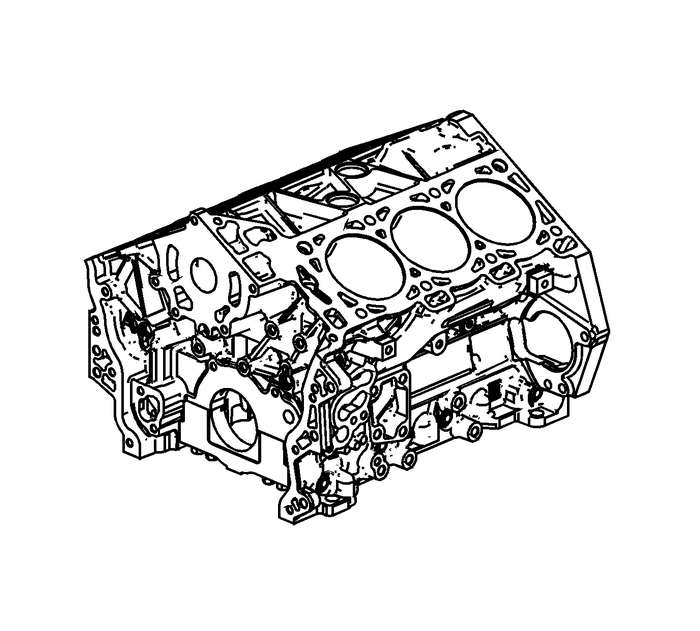 Compare your results with theEngine Mechanical Specifications. If the cylinder diameterexceeds the specifications, the cylinder block may be oversized to0.25-mm (0.010-in). There is only one size ofoversized pistons and rings available for service. 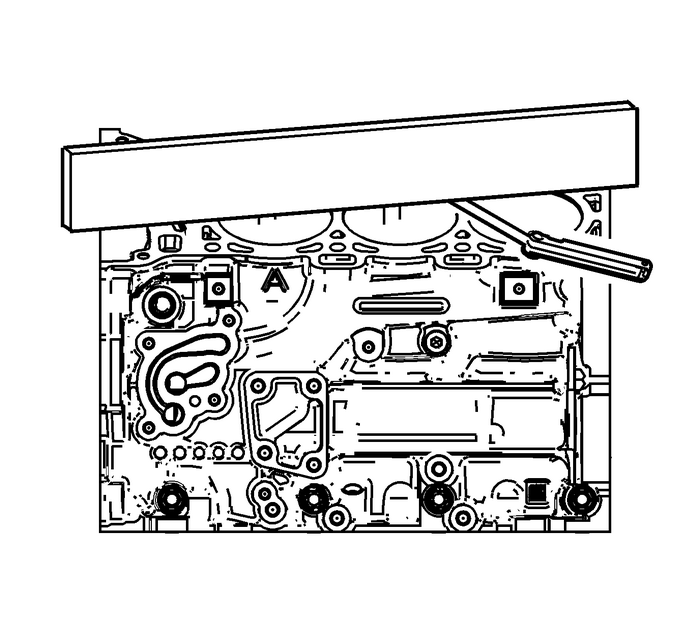 Ensure the engine block decks are clean and free of gasketmaterial.Inspect the surface for any imperfections or scratches thatcould inhibit proper cylinder head gasket sealing.Place a straight-edge diagonally across thecylinder block deck face surface.Measure the clearance between the straight-edgeand the cylinder block deck face using a feeler gauge at4-points along the straight-edge.If the warpage is less than 0.05-mm(0.002-in), the cylinder block deck surface does notrequire resurfacing.If the warpage is between 0.05–0.20-mm(0.002–0.008-in) or any imperfections orscratches that could inhibit proper cylinder head gasket sealingare present, the cylinder block deck surface requiresresurfacing.If resurfacing is required the maximum amount that can beremoved is 0.25-mm (0.010-in).If the cylinder block deck surface requires more than0.25-mm (0.010-in) material removal the blockmust be replaced.